If you’re a cyclist in Texas or you’re interested in becoming one, now is a better time than ever to grab a set of wheels! From Dallas to San Antonio, there’s a bike shop in Texas offering tune-ups, top-notch brands, and all kinds of accessories. Here are our 10 favorites. Aggieland Cycling has two locations in College Station, one on campus and one off. They’re very pro-student and organize many events throughout the year, including group rides. 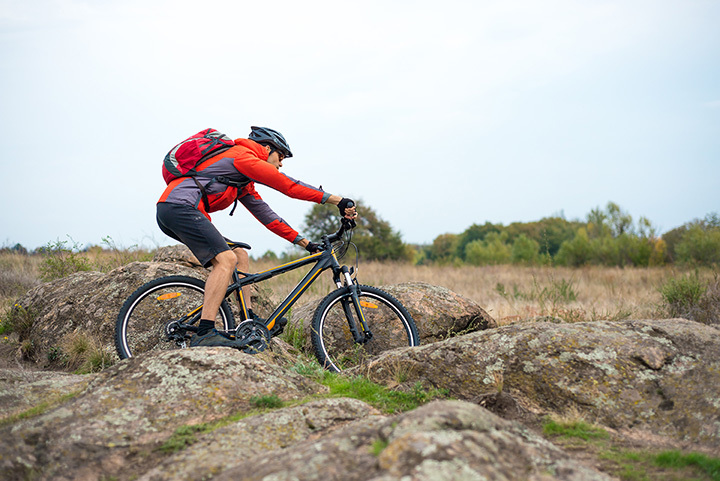 They stock a wide variety of biking equipment from bikes to apparel and accessories. Since opening in 1962, Richardson Bike Mart has solidified itself as one of Texas’s best bicycle shops. Now with five locations, including a mobile bike shop. Richardson is set to grow bigger and get even better. Mellow Johnny’s Bike Shop has one location in Austin and another in Fort Worth, Texas. Their world headquarters is in Austin. They offer 24-hour service on most repairs, price matching, and over 18,000 square-feet of bikes to choose from. Bicycles Plus has a location in Allen, Coppell, Flower Mound, and Dallas, Texas. They sell road bikes, mountain bikes, hybrids, women’s’, BMX, cruisers, kids bikes, and much more. Bring in your trades for a discount on your next purchase. Elite Bicycles in Tyler, Texas, offers zero percent financing for six months on approved purchases, making for even more affordable bikes. Check out their full inventory of bicycles on their website. The Bike Shop in Nacogdoches, Texas, offers custom-build wheel sets, complete tune-ups, truing wheels, bike overhauls, and more as part of their repairs and service. Of course, they also sell a wide variety of bikes, including from Redline, Jamis, Haro, Trek, and more. Texas Cycle Werks calls themselves “The best little bike shop in Texas,” and we’re just about inclined to agree. They take trade-ins of old bicycles and sell bikes from Bianchi, Heller, Intense, Spot, and Orbea. Stop by the Peddler in either their Austin or Cedar Park location, and you’re sure to find a warm greeting and knowledgeable staff. They sponsor three teams and stock Cannondale, Scott, Raleigh, Yeti, Kona, Surly, Linus, and Fairdale bikes. Bike World is a higher-end bike shop with four San Antonio locations. They organize regular rides and events, offer bike rentals and tours, and have a full listing of their many products on their website for easy viewing. Red Star Bicycles Shop provides the Dallas, Texas, area with some of the best bike deals around. This family owned and operated shop treats their customers like part of the family.